Legal Texas sports betting and gambling laws are some of the least progressive in the United States. Almost from its inception as a state, all forms of gambling with the exclusion of small-stakes card games and horse racing were illegal in Texas. Gambling on sports was of course among the prohibited wagering activities. This situation represented the status quo from the early 1800s until the recent history, when the global rise of the internet enabled legal Texas sports betting for the first time. The Lone Star State, which started out as its own independent country, shared little in common with the original 13 American colonies in terms of their predilection toward broad social acceptance of gambling. Texas’ historical aversion to gambling continued into the period of statehood in the middle of the 19th century, and in fact, did not change until well into the 20th century and even then more slowly than much of the rest of the United States. The incremental pace toward gambling reform in Texas, combined with aggressive federal moves to prevent the expansion of gambling has had the effect that legal sports betting in the Lone Star State can be considered difficult to impossible via conventional means. However, the shifting trends in demographic makeup and political alignment from conservative to more liberal in recent decades have helped to slowly but surely expand the acceptance of gambling in Texas. Within the last thirty years, for instance, Texas lawmakers amended the state constitution to allow charitable gaming and instated what is now one of the most-played lotteries in the United States. 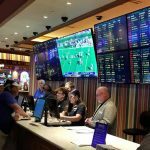 Nevertheless, the real breakthrough for legal Texas sports betting has been the ascendancy of offshore gambling websites that exist outside the purview of federal and state law, providing a safe alternative to other legal means while sports fans wait on necessary political developments in the Lone Star State. 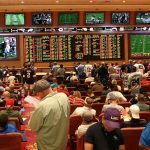 Is Land-Based Sports Betting Legal In Texas? Land-based betting on sports hasn’t been legal in Texas for a long, long time. Many decades before the passage of the Professional and Amateur Sports Protection Act in 1992, Texas’ legislature already had laws on the books banning almost every form of gambling in the state, and sports betting was definitely one of them. In fact, the only physical place to bet on sports in Texas is to leave on a gambling cruise for international waters. Online sports betting in Texas is in a gray area created by the vague wording of state law and the inability of law enforcement to seek out every single violator of that law. Even if they were in violation of an archaic anti-gambling law, betting online at an offshore sports gambling website that is fully regulated and licensed in its home country is so risk-free and easy that it makes the alternative means of betting on sports impractical. Fortunately for would-be Texas sports bettors, the Lone Star State’s laws don’t specifically outlaw placing bets online, and US and state law prohibitions on the practice don’t apply to offshore gambling sites anyway. The bottom line is that Texas’ sports betting enthusiasts probably have very little to fear from the law either way. The only places you can technically bet on sports in Texas are not actually in Texas. In one case, you can take a ride on the Aransas Queen gambling cruise and chug out to international waters, whereupon you can play traditional casino games and wager on sports. The other, and by far the simpler, easier, and frankly better option is to create an account at Bovada, SportsBetting, BetOnline or 5Dimes. All of these are legal sports betting websites that operate out of foreign countries and therefore can accept US players with no legal risk. Texas is a big state, so if you live in the northwestern stretches of the Lone Star State it might not be a completely bad idea to make a road trip to Nevada or New Mexico for sports betting. But plane tickets are expensive, and you’d better be ready to make a vacation of it once you get there because it’s a long way to go just for the privilege of laying a bet on sports. This is especially true when you consider that offshore legal sports betting websites are easy to get to, have higher limits than most casinos, and offer bonuses and other promotions only the high-rollers can look forward to in Sin City. Owing to this fact, it could be said that the closest place to you to bet on sports is wherever you are in Texas, but only if you go to one of the legal sports betting websites we recommend. Otherwise, you could be held in violation of state law, and that just isn’t worth it. If state laws ever change the cities you’d expect to offer sportsbooks would be the ones with the highest population. Texas is a huge state, second biggest behind Alaska in fact, but the best websites for legal Texas sports betting are going to be found far outside the borders of the Lone Star State. Texas criminal code doesn’t specifically outlaw online gambling, which gives sports betting aficionados the wiggle room they need to hop on over to offshore gambling sites like Bovada, 5Dimes, SportsBetting, and BetOnline. All these websites, even though they’re based in places like the European Union or in Caribbean resort islands, are what makes legal Texas sports betting possible. The offshore sports betting websites we recommend are known across the industry for several reasons and all of them are beneficial to Texas bettors. They are financially secure being that they are regulated by their home countries, they are reliable when it comes time to pay out winnings, they cater to American tastes in sports, and best of all they fall outside of US jurisdiction. Texans have always fiercely guarded their independence, so these top-level legal gambling website should be just the ticket for sports fans. On the sports betting front, bookmaking is defined partly as “a scheme by three or more persons to receive, record, or forward a bet or an offer to bet.” The combination of federal laws against sports gambling, along with the state laws on winning prizes on contests based even partially on chance and the aforementioned ban on bookmaking, make legal Texas sports betting solely possible via offshore websites serving US customers. What Texas Sports Teams Can I Bet On? Texas is practically overflowing with sports teams worth following, and indeed worth betting on. Some of these teams are among the most famous in all of American sports, but all of them enjoy the support of some of the world’s most ardent fans. Texans love sports, and the Lone Star State has plenty and then some. Football is the king of sports in Texas and nowhere is that more evident than in the case of the Dallas Cowboys, known for decades by the appellation “America’s Team.” That level of support is backed up by some of the NFL’s most impressive stats, including over a half dozen Super Bowl and NFC championships appearances, and the unmatched distinction of 15 consecutive winning seasons from 1966 to 1985. It’s no wonder the Cowboys are one of the most valuable sports teams in the world, according to Forbes magazine. The Houston Texans joined the NFL as Texas’ second pro team, replacing the now-defunct Houston Oilers, which moved to Tennessee and became the Titans of today, in 2002. The Texans have a long way to go before they’ll match Dallas’ prestige, but the NFL’s newest team has still pulled off impressive feats in that short time, including multiple AFC South championships. On the baseball front, Texas’ teams are no slouch either, boasting the Texas Rangers and the Houston Astros, both of which have competed in the World Series. Native Texan Nolan Ryan, certainly among the greatest pitchers to ever play professional baseball with more no-hitters to his credit than any other to take to the mound, played for both the Astros and the Rangers over the course of his impressively long-lived 27-year pro career. Texas also boasts three NBA teams, the Dallas Mavericks, the Houston Rockets, and San Antonio Spurs, the latter of which has won some of the most championships and division titles in the league. All three Lone Star State pro hoops teams have achieved a good deal of success, however. The Rockets won two championships in the mid-‘90s and are known for having attracted past superstars like Charles Barkley, Tracy McGrady, and Yao Ming. The Mavs were a 2000s powerhouse, winning two division titles, two conference titles and an NBA championship during the tenures of stars Jason Kidd, Steve Nash, and Dirk Nowitzki. There are more Division 1 NCAA teams across all sports in Texas than in any other state. Some of the biggest names in college athletics in the Lone Star State are the Baylor Bears, the University of Texas Longhorns, the Aggies of Texas A&M and, lately, the Texas Christian University Horned Frogs. Due to the sheer number of these programs and Texas’ population of 27 million, it’s easy to see how most of the state’s premier universities have had success across the decades, reinforcing the tradition of greatness that is the pride of Texas sports. Pari-mutuel horse racing betting is one of the very few forms of gambling of any sort that is not prohibited by Texas’ strict anti-gambling laws. Compared to other legal forms of gambling, like the state lottery or even charitable games of chance such as raffles, betting on horse races has been around the longest in the Lone Star State, having been legalized in 1933. What’s more surprising is that betting on horse races is widely seen as socially acceptable behavior in Texas, perhaps owing to the state’s long history of ranching, rodeos, and other equestrian activities. On the other hand, casino games, card games, and table games might be seen as plain old vice by the traditionally conservative Christin population. Daily fantasy sports (DFS) was declared to be illegal in 2016 by Texas Attorney General Ken Paxton on the grounds that DFS contains enough of an element of chance to be considered as prohibited gambling. Paxton’s opinion is that the skill involved in DFS – being that players have to use their knowledge of athlete statistics, relative coaching strategies, even the weather when choosing their lineups – doesn’t obviate the preponderance of chance in determining the outcome of contests. According to Texas law, only “partial chance” is necessary for an activity to be classified as gambling. However, DFS giant DraftKings is challenging the opinion issued by the Attorney General in court. While the court case is pending, DraftKings has decided to still accept Texas residents for real-money contests. FanDuel has also decided to still accept residents as well, so even if current state officials don’t think you should join, they can’t necessarily stop you or penalize you. Can I Bet Real Money On Sports In Texas? The only way to bet real money on sports in Texas is if you make use of offshore gambling websites that are licensed and reputable, and we’ve described the ones we believe are the best in those categories elsewhere on this page. Any attempt to wager money on sports using a local bookie, or even making use of a Texas-run online bookmaker, is going to be illegal according to state statute and federal law as well. Sticking with an offshore gambling website is the best option for fans of legal Texas sports betting who want to stay off the radar from the law. Is Online Sports Betting Safe In Texas? Again, online sports betting is only safe for Texans if they steer clear of websites based in Texas. Offshore websites like Bovada, 5Dimes, BetOnline, and SportsBetting are not just safe in terms of being able to securely process financial transactions, they’re also safe from any federal or state legal action that could be taken against a Texas sports betting fan. The Texas legislature has not passed any law directly outlawing placing bets over the internet, and thus far no resident of the state has ever been prosecuted for placing a wager at an offshore website like those listed above. This just reinforces the point that legal Texas sports betting is best done at one of our preferred websites. The combination of reliability, financial security, options for American sports betting fans and the freedom that comes from operating outside the reach of the US legal system enables offshore websites to fill a niche and scratch an itch Texas players have for wagering on their favorite sports teams. Will Sports Betting In Texas Ever Be Legal? There are several factors at play before sports betting could be the law of the land in Texas. 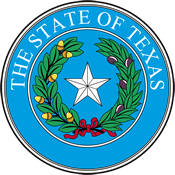 One huge positive is that the state legislature has not moved to make betting online specifically illegal, which opens up the world of legal Texas sports betting to Lone Star State enthusiasts if they stick to offshore websites. The road to broader legalization of sports gambling has been a slow one – the state only approved a constitutional amendment to allow charitable gaming in 1989 – but changing demographics in Texas may be a leading indicator of big changes to come. An influx of blue-state workers looking to cash in on Texas’ booming industrial and financial economy and left-leaning immigrants from outside the state will undoubtedly have an impact on how the Lone Star State swings politically, and the rate at which this shift is occurring is accelerating. In time, this new political majority could push for legalization of sports gambling as a way to generate millions of dollars in new tax revenues every year. Will I Get Arrested For Sports Betting In Texas? We’ll put it this way, nobody has ever been prosecuted for placing a bet online at a reputable offshore sports betting website. So, while betting on sports via the internet is not protected by Texas law and certainly not by federal laws like the Unlawful Internet Gambling Enforcement Act of 2006, it isn’t expressly forbidden either. 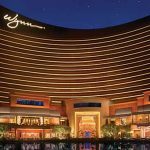 By virtue of this legal gray area or loophole, offshore sports betting websites are able to offer their services securely to the American market. It’s important to consider the risks involved before physically placing a bet on sports anywhere in America that isn’t Las Vegas, which is why having the option of an overseas legal gambling website is such an appealing proposition for Texas bettors. 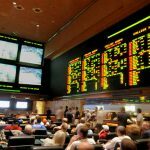 What Is the Sports Betting Age In Texas? Since there is no legal outlet for sports betting in Texas outside of offshore gambling websites, 21 is the minimum age residents will need to attain before participating in the few wagering opportunities allowed by state law. Those few legal forms of gambling include horse racing, a single gambling cruise, which only entered the market after much controversy in 2015, and one casino in a remote section of the state which is a stone’s throw from Mexico. A state lottery has also been available since 1993, and Texas, interestingly, has the largest assortment of scratch-off tickets of any state in the country. In all cases, you’ll need to be 21 before you can legally participate in what few forms of allowable gambling there is. Even though the offshore websites we recommend for legal Texas sports betting operate beyond the reach of federal and state law, and even though they will all take deposits from users as young as 18 (in accordance with the local laws of their home countries), it is still advisable that Texans don’t push their luck. Any amount of money you could earn from successfully picking winners is going to look like a paltry sum against a potential stint in the state pen. 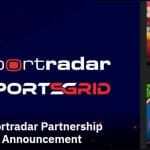 Are There Mobile Sports Betting Apps Available In Texas? All the best legal Texas sports betting websites have fully embraced smartphone technology and have their own entries in the app stores of both Apple and Android networks. The apps offered by Bovada, BetOnline, SportsBetting, and 5Dimes are free to download and most of them are models of ease-of-use. These websites are already simple to use, but the availability of free apps just adds another layer of convenience to what is easily the best means of betting on sports that Texans have access to. Where Is The Best Place To Bet On Sports In Texas? There are really only two places to legally bet on sports in Texas, and neither of them are actually in Texas. Confused? Don’t be. Choice one: to hitch a ride on the Aransas Queen gambling cruise and bet in international waters (and hope you can get your payout before you get back to shore, and that’s if the game you were watching wraps up before the ship returns to Texas waters). Choice two: to visit Bovada, SportsBetting, BetOnline or 5Dimes (or all of them) and enjoy some legal Texas sports betting online. The second choice is going to be the best, generally speaking, because you can expect timely payouts, the convenience of betting anywhere, anytime, all without worrying over the legality of your pastime. The websites we list here are all reputable, reliable and regulated – but regulated in their own countries, and therefore outside the reach of federal or Texas law, which doesn’t specifically outlaw internet gambling anyway. Is It Safe To Use A Local Bookie In Texas? Any bookie doing business in the state of Texas is going to be doing so in flagrant violation of state law and also of federal law. It would not be worth your time to deal with a local bookmaker in Texas for that reason alone, because if you get caught you will be charged with a Class A misdemeanor. However, there really shouldn’t be any special reason you would want to use a local bookie. That’s because the best offshore online sportsbooks are going to have higher limits, be much more reliable, offer better odds on more types of sports contests and – best of all – they aren’t illegal according to state and federal law. Do Any Casinos In Texas Have Sports Betting? Texas might be a huge state with one of the nation’s largest populations to match, but there are only two casinos in the whole state. Sports betting is only on the menu at one of them, and even then, only under very specific circumstances. The Aransas Queen, a gambling yacht will take customers out into international waters before allowing some sports betting to take place, but the majority of practical betting options are going to be limited to slots and table games. The Kickapoo Lucky Eagle Casino in the rural border town of Eagle Pass is more or less a well-stocked slots parlor but a recently added poker room adds only a little variety for those willing to make the trek. Can I Bet On Sports With My Friends In Texas? For all its other restrictions on gambling, Texas law has a pleasant surprise in store for people who want to enjoy sports betting with friends. The state’s Penal Code, Section 47 has no punishment for social gambling, which means that betting of any kind can take place in private between players with a “legitimate social relationship,” and stakes can be as high as the players have a tolerance for it. The reality is that Texas, with its vast geography and a population of more than 27 million people, is probably too big to enforce a law against anything people do in their own homes, but it’s nice to have such freedom inscribed in the legal rolls just to be sure. Of course, this means that using offshore legal Texas sports betting websites is also permitted by default, which is good for all gambling fans.